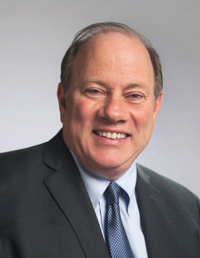 The annual district meeting with Mayor Mike Duggan will happen on Thursday, April 23 from 7 - 8:30 p.m. This meeting will happen at Straight Gate International Church (10100 Grand River Ave.). which is approximately six miles from the Warrendale neighborhood. The purpose of this meeting is to allow residents to bring their questions, concerns, and problems directly to the mayor in a public setting. Parking is available in the parking lot adjacent to the church. Doors will open at 6 p.m. and this meeting will adjourn promptly at 8:30 p.m. This is the second in a series of community meetings as outlined in the 2012 Detroit City Charter. The Charter mandates that the mayor have at least one of these meetings each year in each of the City Council districts. This is the annual meeting for the 7th District, which includes the Warrendale neighborhood. If you need more information, you may contact Linda Vinyard at (313) 224-3876. There is also a flyer regarding this meeting that available for download from the City of Detroit's website here.